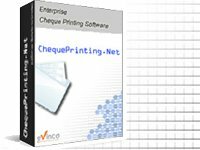 You can create a payment voucher for the cheque. In the "Cheque" window, click "Payment Voucher" button. Payment Voucher window will be shown out. The "Cheque Number", "Cheque Amount" and "Pay To" information will be loaded from the cheque accordingly. Number - Document number of this payment voucher. Address - Address of the payee. Line Item - You can input line item in the table. The total amount will be calculated automatically. Signature Boxes - You can check the four signature boxes at the bottom to make it visible. When the Payment Voucher is ready, you can click the "Save" button to save the document or "Preview" button to preview the PDF output.